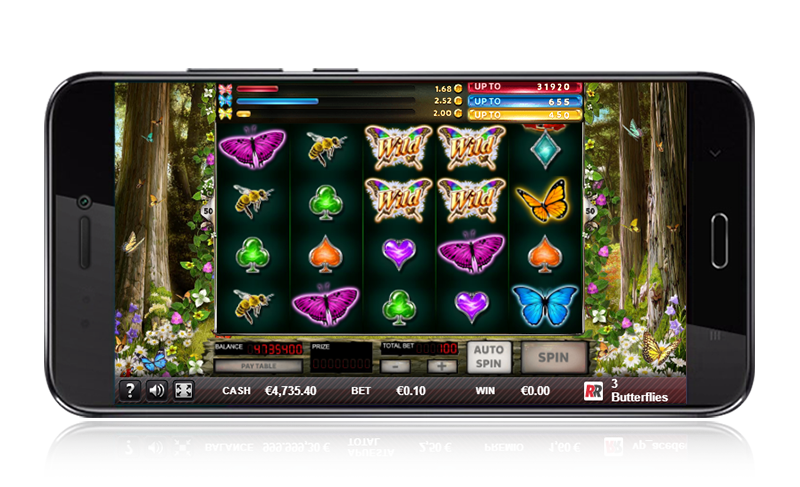 This videoslot has 5 reels, 4 rows and 50 fixed paylines. 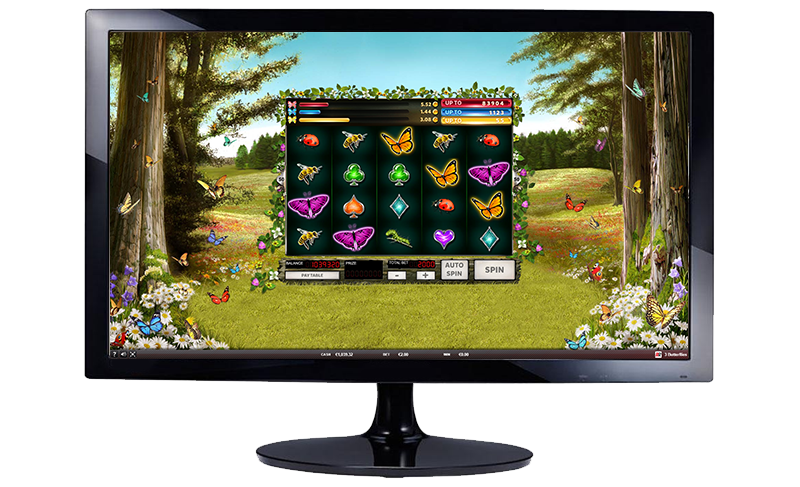 Its flying butterflies transform into 'Wilds, Bonuses and Minigames', allowing you to get incredible wins. Each 'Flying Wild' expands in order to occupy 4 positions and to multiply the payline by up to 6x. 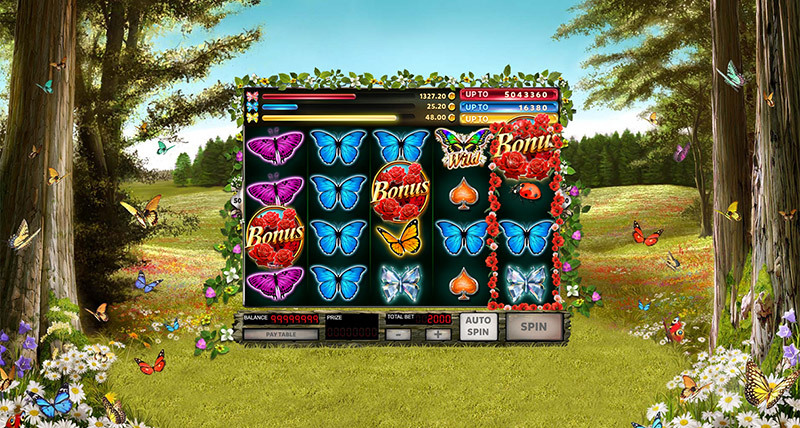 The Bonus symbol provides 7 free spins with even more 'Flying Wilds'. 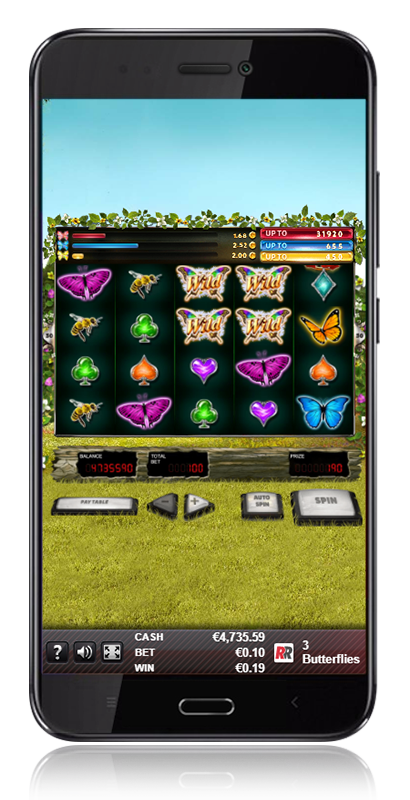 Accumulate 'Crystal Butterflies', fill the bars and enter the 'Flower Minigame' in order to multiply your jackpot by up to 300x. Let´s fly! 'Flying Wilds' can appear in any position on reels 1, 2, 3 and 4. Each 'Flying Wild' expands in order to occupy 4 positions. When wilds overlap, they become 'Wild Multipliers' and can multiply the bet per line up to 6x. 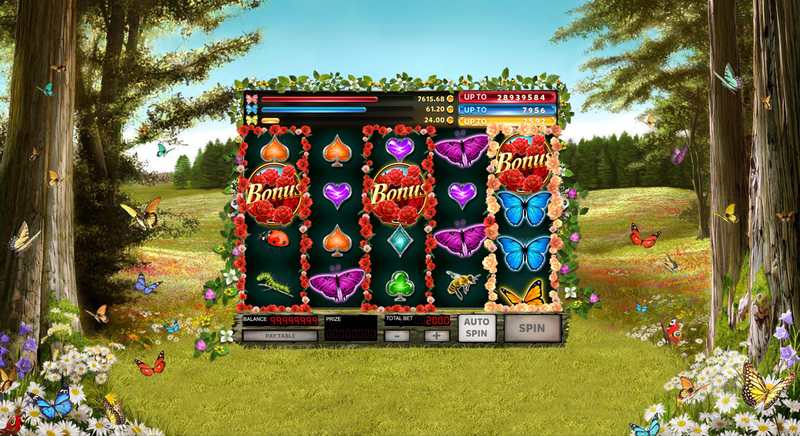 Bonuses can appear in any position on reels 1, 3 and 5 and pay the total bet multiplied by 1x. 3 bonuses give 7 free spins. 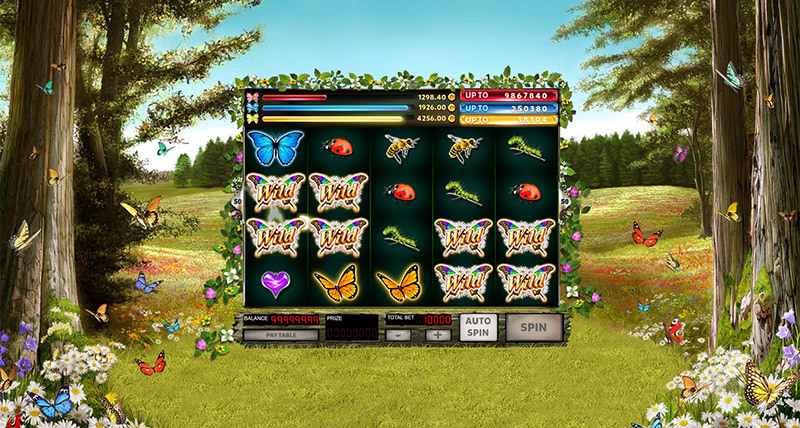 During the free spins bonus the 'Flying wilds' appear more frequently. 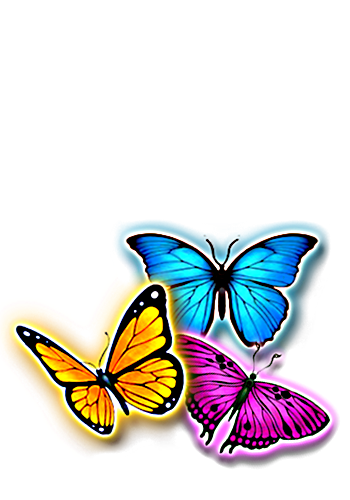 Collect 'Crystal Butterflies' in order to complete the bars and enter the minigame. 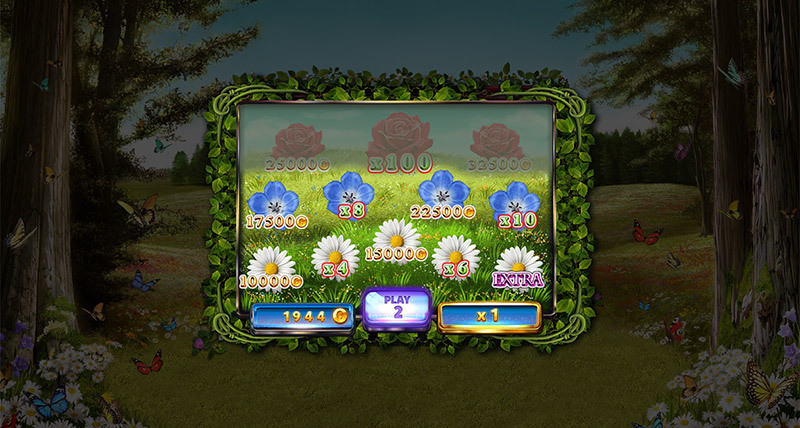 With each spin that does not win, a percentage of the total bet is accumulated for the 'Flowers Minigame'.